Maurice Lacroix was founded as part of Desco von Schulthess of Zurich in 1975. Founded in 1889, Desco von Schulthess (Desco) is an older company with roots in the silk trade. 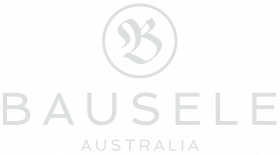 Since 1946, Desco has also been a representative for luxury watches including Audemars Piguet, Heuer, Eterna, and Jaeger-LeCoultre. Over the years, Desco became more interested in the watch business, and in 1961 Desco acquired an assembly facility named Tiara in Saignelégier, in the Swiss Canton of Jura. There it produced private label watches for third parties. In 1975, Desco started marketing watches under the brand name Maurice Lacroix. Like other Swiss watch brands, including Rolex and Omega, the brand Maurice Lacroix does not correspond to any one individual. By 1980, Maurice Lacroix had become so successful that the facility in Saignelégier ceased production for third parties. In 1989 Maurice Lacroix acquired the case maker Queloz S.A., also based in Saignelégier. This ability to produce watch cases in-house makes Maurice Lacroix unusual compared to other luxury watch companies. During the 1990s, Maurice Lacroix experienced a “rocket-like ascent” with the launch of their high end “Les Mécaniques” line, later renamed the “Masterpiece” line. During this time, the company elevated itself to the high ranks of Swiss watchmanufactures, by both maintaining traditional ‘Swiss watch making art’ and by creating their own movements for its Masterpiece Collection. In 2001 Maurice Lacroix S.A. became an independent legal entity. As such, it is one of the few independent Swiss watch manufactures. Please visit the website from Hans Mennink to get an overview form the Masterpiece collection made in the past. The “Les Mécaniques” / “Masterpiece” line includes limited edition models based on “historic” or “heritage” movements purchased during the height of quartz crisis and refinished to the highest standards. Of particular note are the alarm wristwatches, chronographs, and jump hour Masterpiece watches Maurice Lacroix produced based on heritage movements. In addition, this line includes watches based on extensively modified ébauches from ETA, Unitas, and others that incorporate numerous complications, including retrograde movements, power reserve indicators, and calendar modules. In 2006, Maurice Lacroix introduced their first full in-house movement, the ML106 based “Masterpiece Le Chronographe. This very first model in 18K gold is in stock at KingWatch.nl. Since then, Maurice Lacroix has introduced numerous manufacture movements including an automatic movement in 2011. The shift to manufacture movements has been accompanied by an increase in the size of the watches and a shift to a more “modern” or “industrial” look.